24721 Venice Drive Novi, MI. 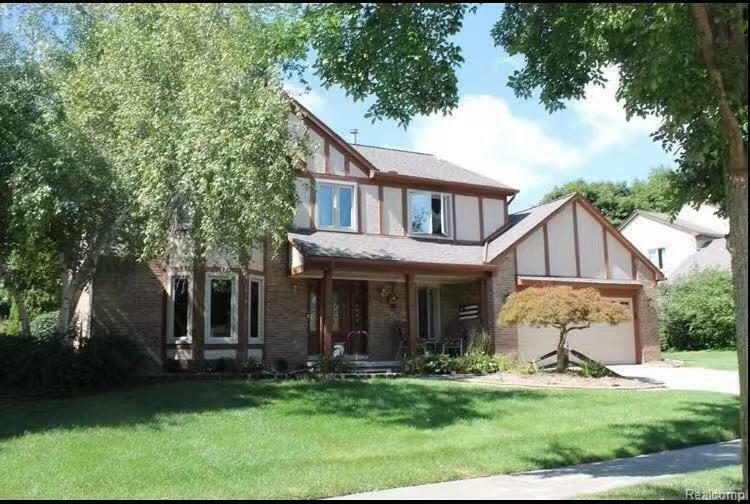 | MLS# 218105789 | The premier resource for all real estate information and services in Metro Detroit. Great four bedroom, colonial home. Lovely brick paved walk leads to the covered porch and gorgeous leaded glass front door. Foyer, hall, powder room, kitchen, breakfast area and family room all have beautiful hardwood floors. This home boasts four large bay windows, an island kitchen w/granite counter tops overlooking a wonderful family room with natural fireplace; access yard and expansive, multi-tiered deck from the breakfast room. Enjoy a convenient first floor laundry with closet, leading to the large two car garage. The master suite is huge with a walk-in closet, master bath has double sinks, tub and separate shower. Notice the newer windows and you'll love the professionally finished basement with two egress windows and half bath; fantastic for entertaining! Lots of storage, furnace 2016, Highly acclaimed Novi schools!